When folks at Adagio sent me a gift card to select samples for review, I tried to find a few teas from their 'Roots Campaign', because they give bit of information on the farmers providing the teas. I picked a few teas of interest, and decided to start in on the Keemun Concerto first. In the interview with the farmer for this tea, Wang Ai Guo mentions the difficult work schedule and her life in poverty as a tea picker. These are things a tea drinker doesn't usually think about while sipping, a reality that tea drinkers tend to ignore. When I drink tea, I try to take a few moments of gratitude for the many weathered hands that plucked and carried the leaves and for those that processed them. I'm glad to be reminded of these facts while selecting my tea. Keemun is grown in the Qimen (both the tea and the place are pronounced Chee-Men) county of Anhui and my favorite versions are smooth, rich, and chocolatey. The best ones don't have much if any smoky flavor. 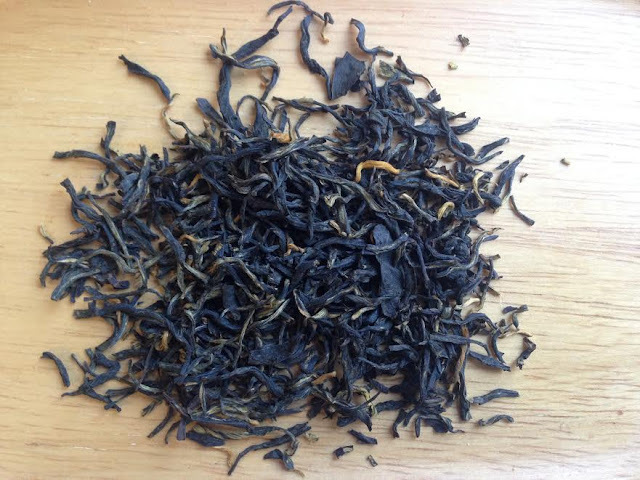 The Keemun Concerto dry leaves are thin and twisty with some golden tips. They are very sweet and a bit malty. The infused leaves are smoky and chocolatey. The brew itself has slight tobacco and earthy notes, and strong malt and chocolate flavors with a lingering bit of spice. No real smoky flavor to the brew, it's just in the leaves. The brew is of medium body, and super smooth. It's a very comforting tea, and has helped me relax during a hectic work day. 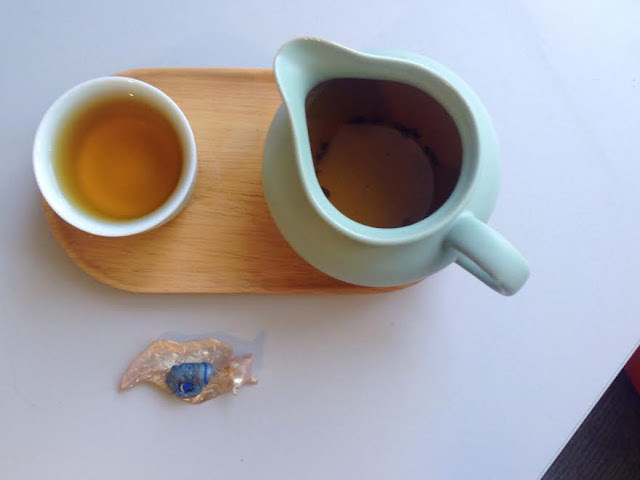 I find the chocolatey smooth characteristic of Keemun to be a great tea to unwind with. This is a nice everyday drinking tea. Something I could go for in the morning, or to relax with during a stressful day. I had left some on my desk and after a long meeting the cold tea was quite refreshing, so I decided to cold brew some the next day. The flavor was more delicate, but still smooth and malty with a touch of sweet cocoa. Thank you to Adagio for providing the sample, I have a few more left to review, so stay tuned.